There are some key jobs to be done this time of year to help your fish through the stresses of temperature change and possible harsh winter conditions. As the leaves start to fall in Autumn they should be removed from the pond with a skim net before they start sinking and decomposing and releasing harmful gases. Aquatic plants such as lilies will also die back and should be pruned back and the debris removed. Remember to also prune back overhanging branches to let more light in to the pond and also thin out underwater oxygenating plants. Four to five bunches (each containing three to four stems) should be sufficient for each square metre or yard of pond surface area. A pond vac will help clear the floor of the pond of rotting debris and also reduce the risk of sludge and dirt being sucked up by your pond filter and pump. Lastly, put a cover net in place for the season. If you have a UV Clarifier and a filtration system in your pond they can be switched off and removed to protect them from frost damage over the winter. The low water temperatures and lack of biological processes means their function is less important at this time of year. However some pond keepers like to keep their filter system running during the winter. It may be a good idea though to remove the UV filter, if you have one, as this can crack and break over the winter. Keeping an area of the pond surface free from ice over the winter will allow toxic natural gasses to escape the pond, preventing these from becoming trapped under the surface of the ice layer and potentially poisoning the fish over the winter. 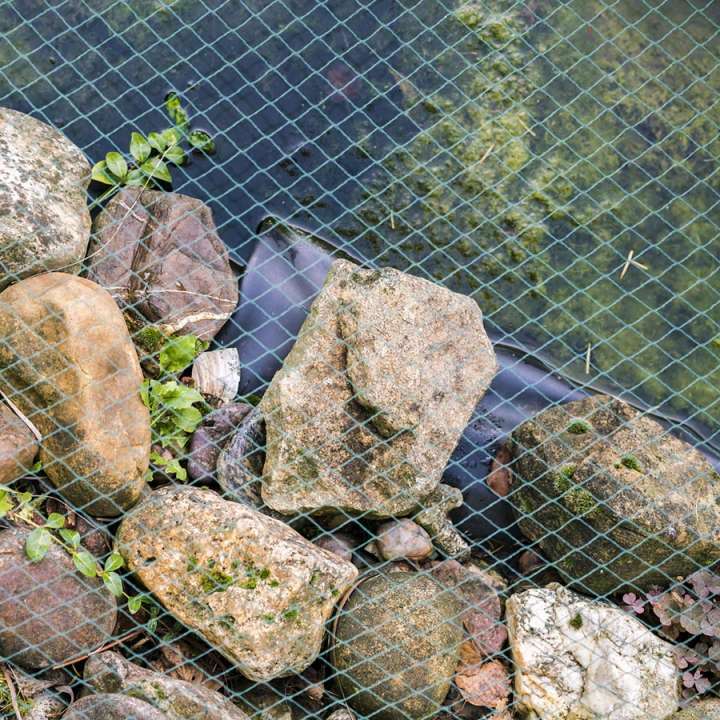 A small ice-free zone will also allow oxygen to enter the pond so the fish will not be made to survive on the limited oxygen resources available in completely frozen conditions. 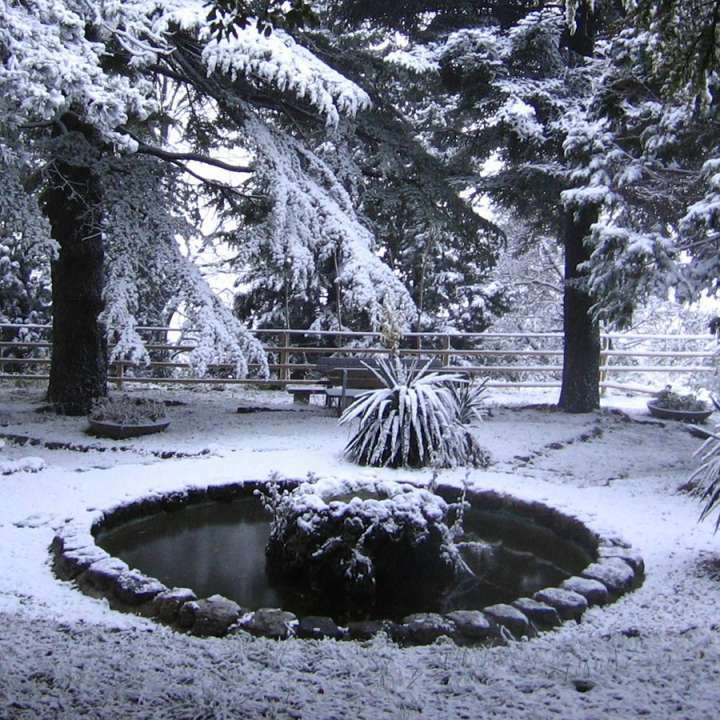 Snow should also be removed from an icy pond surface to allow some light penetration through the ice. install a pond heater which heats the surrounding water enough to prevent it freezing when the rest of the pond surface succumbs to the freezing conditions. keep your pond pump on at a reduced flow rate. This can help provide a warmer area in the pond for the fish to congregate and help keep an ice free area where the water is in constant motion in this area of the pond instead of using a pond heater. However some people like to remove their pump from the pond during winter to prevent it being damaged if there was a big freeze. If your pond does happen to freeze over - don't worry. DO NOT smash the ice as the shock waves will harm the fish. Instead just lay a pan of hot water on the surface until it melts a hole. Koi, Goldfish and Amphibians are very resistant to low oxygen levels so should not be affected by the big freeze. In preparation for Winter, pond fish will have been feeding on a high protein diet, building up fat reserves to see them through the colder periods. During the colder months the metabolism of the fish slows down and they cannot process the high protein feed so to ensure your fish stay healthy and do not produce lots of waste affecting the water quality introduce a wheat germ fish food and feed the fish less often. If you do not use a pond heater then adding pond salt will keep your fish, especially the Koi, functioning healthily through the winter. Pond salt is made from pure evaporated sea salt with no iodine, chloride or other harsh chemicals that could harm your fish. It is best to add it slowly over the course of a few days to get the right salinity levels. Also, dissolving it in a bucket of pond water first before adding it to the pond will stop salt residue building up on the bottom of the pond and causing burns to your Koi if they came in direct contact with it. Salt levels can be monitored with a salinity meter which is vital if you have a variety of fish and plants in your pond.